Discover your Muse in fun and encouraging group studio classes, and Intentional Creativity® workshops. For over 12 years I’ve been leading art workshops in Colorado with an intentional healing focus. 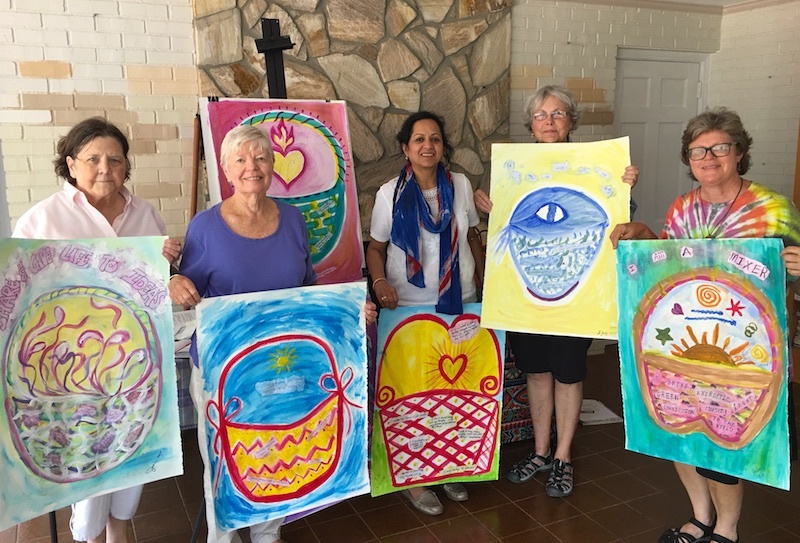 These include photography workshops with mindful seeing, Art Lab classes to look at our inner life while having creative fun in the process, mixed media art journaling, and individual art therapy sessions in addition to new Intentional Creativity® sessions. I’m now adding classes in Georgia. Imagine a life well lived, where every day you embody the real you. 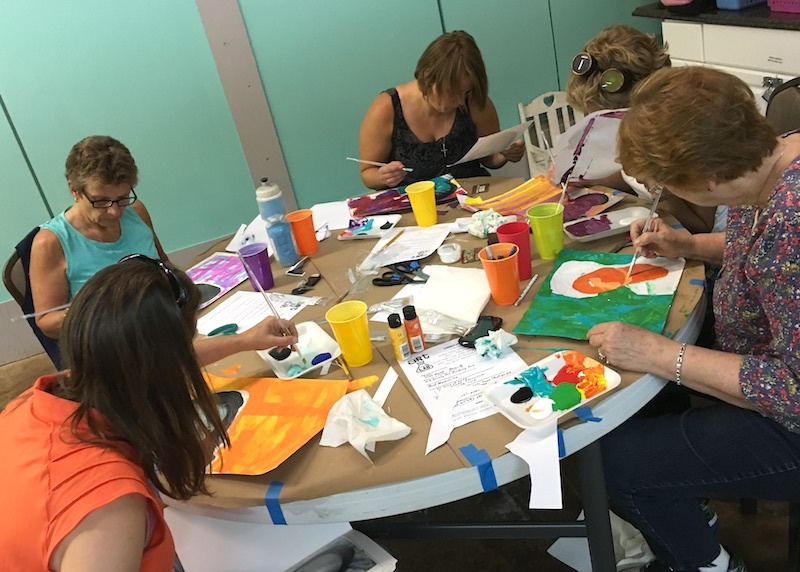 This painting workshop leads you step by step through the Intentional Creativity method to explore who you are meant to be, and what makes you YOU. In this 2-day workshop you’ll bring intention, language and symbol to your canvas in this transformative journey. No previous experience is required. Based loosely on the life of Mary Magdalene, this exploration finds powerful antidotes to toxic messages we may tell ourselves. 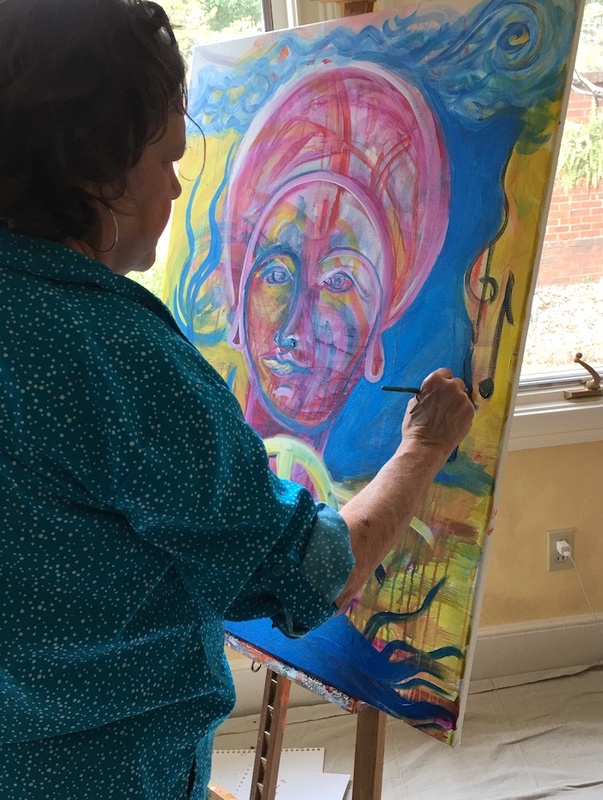 This 2-day painting workshop leads you step by step in the Intentional Creativity method through a transformative journey. You’ll bring intention, language and symbol to your canvas. No previous experience is required. This painting workshop leads you to find, create and live in Presence. You’ll bring intention, language and symbol to your painting in this transformative journey. No previous experience is required. Wonder what it would be like to draw a face with personality? 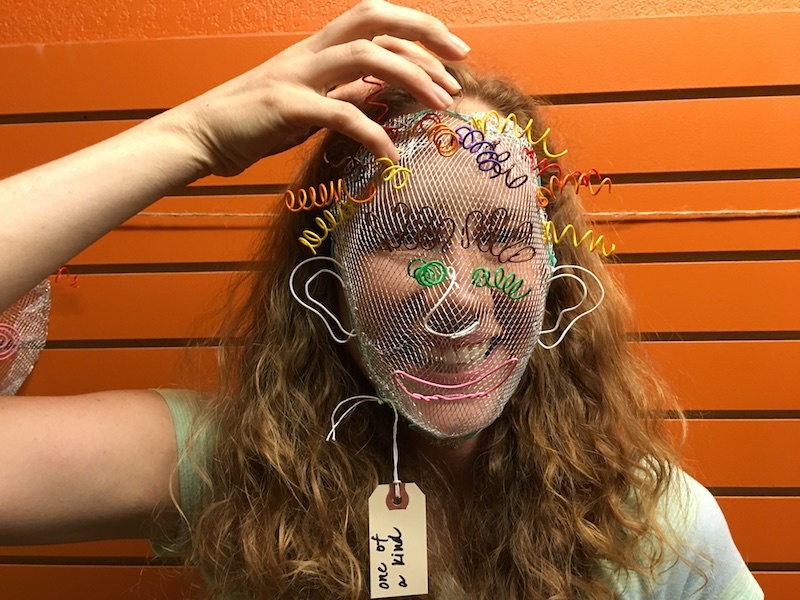 This workshop leads you in drawing and painting simple faces through Intentional Creativity. You will be surprised at what they say! No previous experience is required. Have you thought of your heart as knowing all the stories of your life? 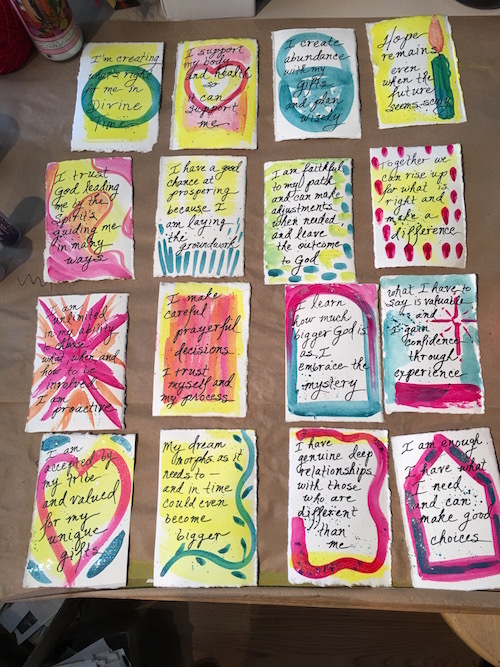 This painting workshop leads you step by step to ask your heart to reveal its wisdom. You’ll bring intention, language and symbol to your canvas in this transformative journey. No previous experience is required. Are you connected to your Source? 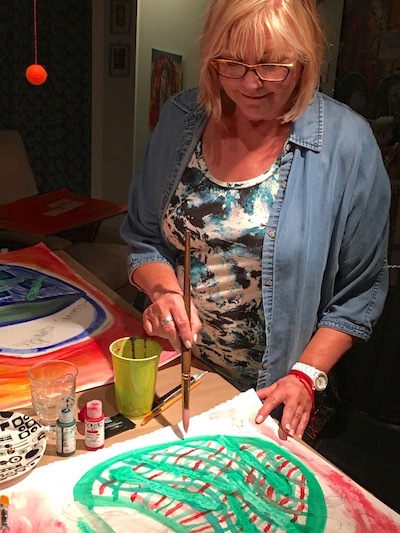 This painting workshop leads you step by step to explore and strengthen your center. You’ll bring intention, language and symbol to your canvas in this contemplative transformative journey. No previous experience is required. What does it mean to be Queen of Your Own Heart? Do you want to live your own possibilities? This painting workshop leads you to discover your empowerment through Intentional Creativity. No previous experience is required. Activate your sacred work in the world. This step by step panel book will use Intentional Creativity to align your work or project with who you really are. 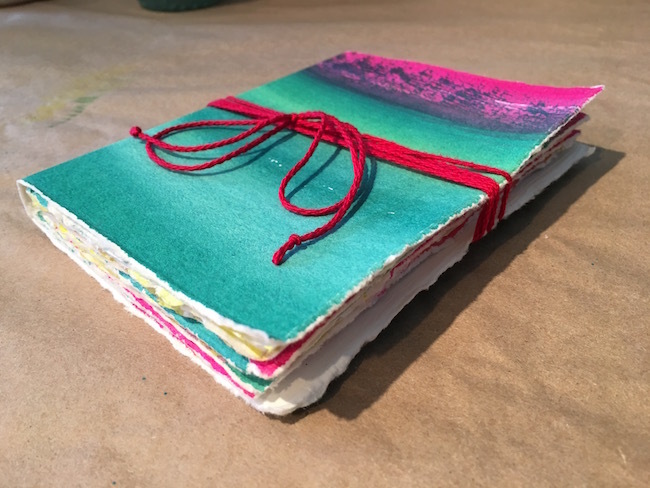 You’ll bring intention, language and symbol to your paper in this transformative journey. No previous experience is required. Are you a loving caretaker? 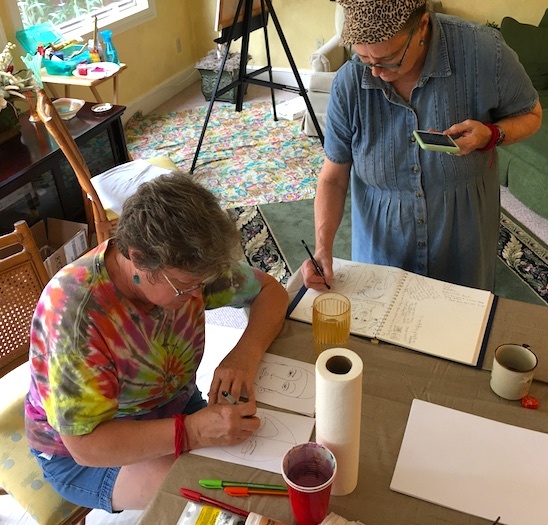 This painting workshop leads you step by step through the Intentional Creativity method to become mindful of your own health and sustainability. You’ll bring intention, language and symbol to your canvas in this transformative journey. No previous experience is required. Your inner muse is waiting to speak to you. This workshop helps you to start listening to her voice as you paint her through Intentional Creativity. No previous experience is required. Breathing is life-giving, but sometimes we could use a reminder to find our rhythm and untangle from stress. This workshop leads you to create space for healing and discovery through Intentional Creativity. No previous experience is required. Do you feel affirmed and embodied? 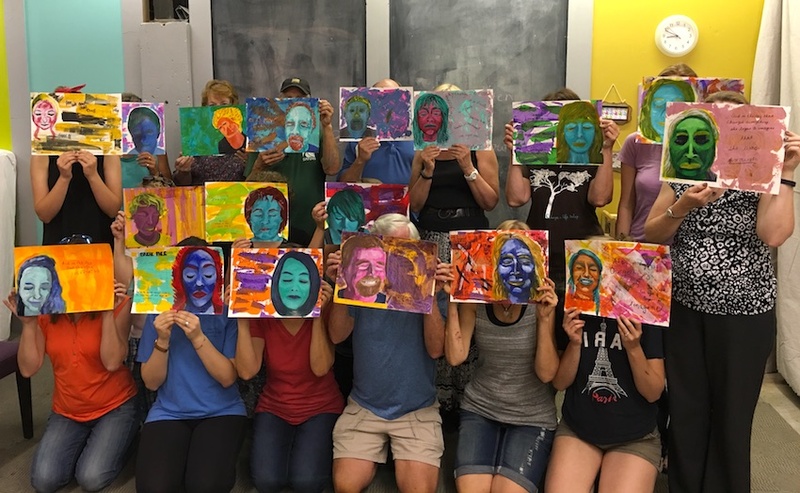 This painting workshop leads you step by step through the Intentional Creativity method to begin to view your own beauty without external references. You’ll bring intention, language and symbol to your canvas in this transformative journey. No previous experience is required. Art Lab classes look at our inner life while having creative messy fun in the process. There is space for reflection so art comes from the heart. 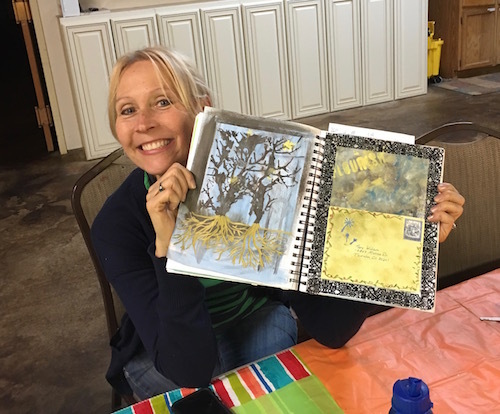 This is a supportive group experience for trying techniques in mixed media art journaling, paint, collage, and other media. Classes generally run once a week for 4 weeks at a time. Adults and older teens welcome, with occasional special classes for younger participants. “Art Lab rocks. Already it is unlocking doors in my soul that I didn’t even know were there! Jenny is an amazing and patient teacher, and I feel so fortunate to be a part of this experience!” –S.S. “Love, love Art Lab! It’s been a great place for me to step out of the cares of the world and be a kid again with old friends and new. It’s all about exploring our souls and different art mediums. Jenny is a great creative guide.” –M.W. Themed classes can be requested for your group or you can schedule your own private session. There are many options available for exploring the benefits of creative practice. Creative soultending is a vital component to health!